Carroll v. City of N.Y., 150464/2016, February 20, 2019, Bluth, J. In a slip-and-fall case, Justice Arlene Bluth recently schooled plaintiff’s counsel on the meaning of CPLR 3116(a), specifically on the limits of the use of errata sheets and when untimely errata sheets are permitted. Plaintiff, an elderly woman, took longer than the allowed 60 days to complete her errata sheet. The Court found that “being elderly” was insufficient reason to extend the time to respond and that receiving a transcript late does not automatically toll the time to submit the errata sheet. However, what the Court found more important was the scope of the proposed changes and the lack of reasonable grounds for the changes. Plaintiff sought to alter her testimony with regard to the distance that her accident took place in relation to a sidewalk grate, her reluctance to walk near grates, the timing of her accident, how the accident occurred and whether there were any witnesses to her accident. Plaintiff’s purported reasons did not withstand scrutiny by the Court. 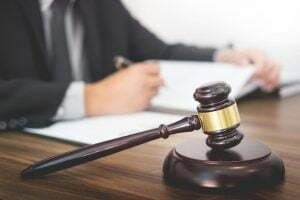 For example, plaintiff claimed that the witness did not understand the question; the Court found the question “not confusing” and that “plaintiff offered a coherent response” in the deposition. The Court also disallowed the attempt to include new information and held that providing “a more complete answer” is not a valid reason to change the substance of an existing answer.